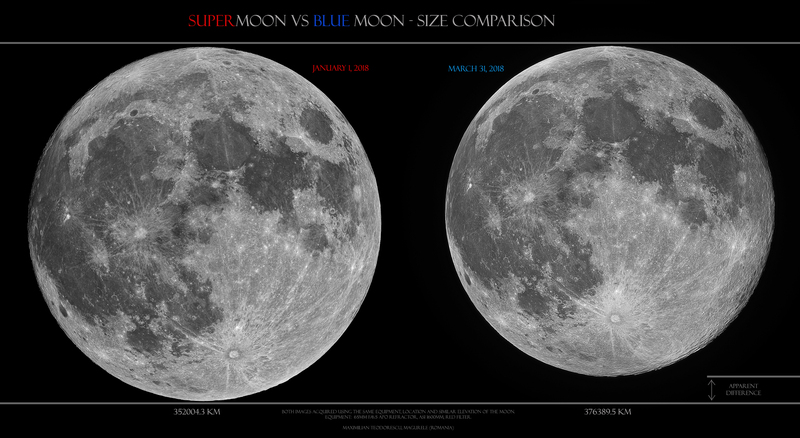 Just managed to get one image series of the Moon as part of a small project: comparing the perigee and apogee Full Moon’s apparent diameters. It is not something new, a few other amateurs did it already, but I’ve wanted to accomplish this also. 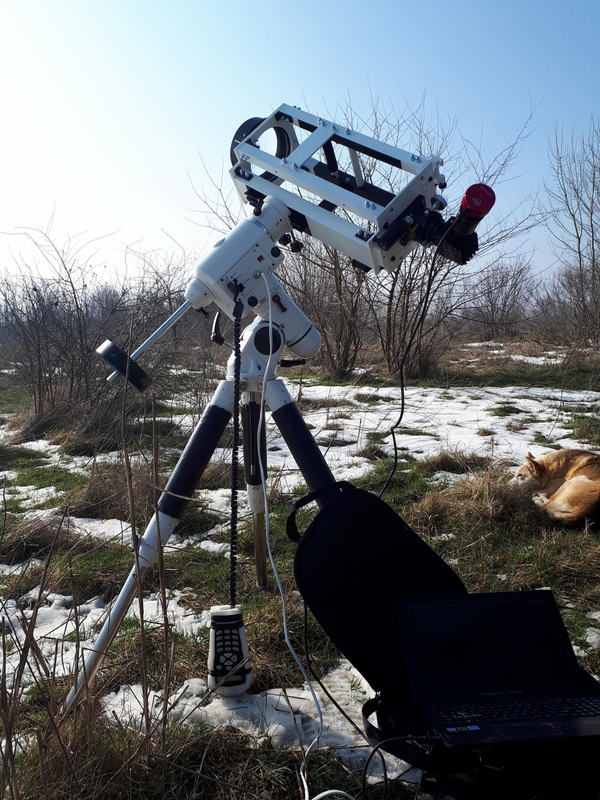 Yesterday, I had a favorable ISS pass occurring in twilight, and since I was planning to get out for some Moon shots, I’ve prepared myself for this event also. 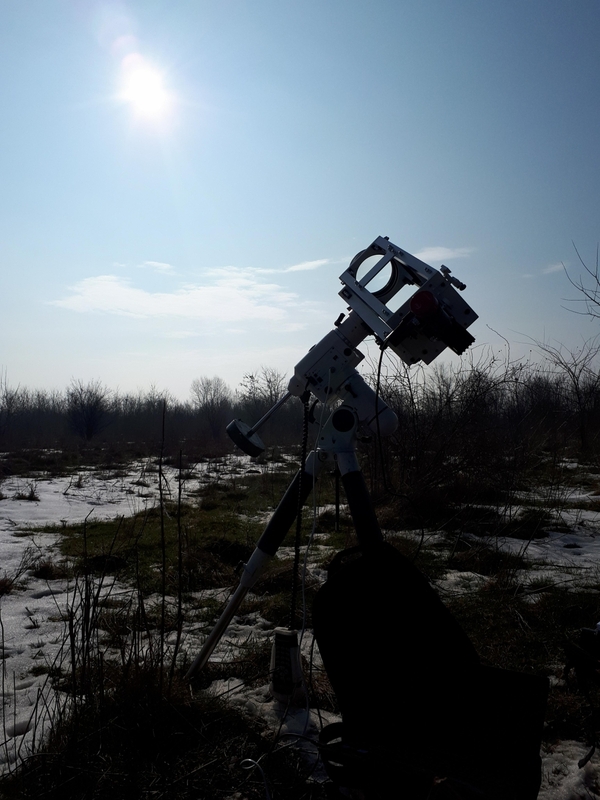 The scope used for imaging was the 4.5 inch Refractor with the fast ASI 174MM camera, while guiding was done manually using a 50mm finder scope. In total I’ve got the ISS in over 1500 frames, but mostly due to the low amplification factor. Next time I’ll try a larger magnification. 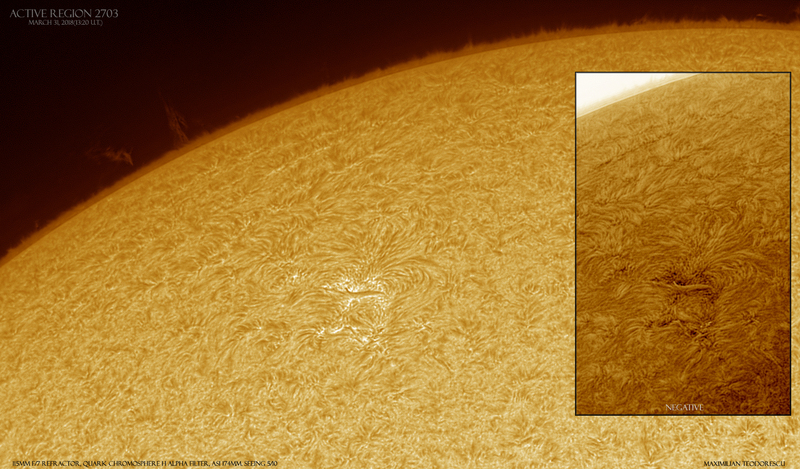 A brief solar session in H-alpha light. Some clouds rolled during the image acquisition, while the seeing was rather poor; a result emerged eventually. 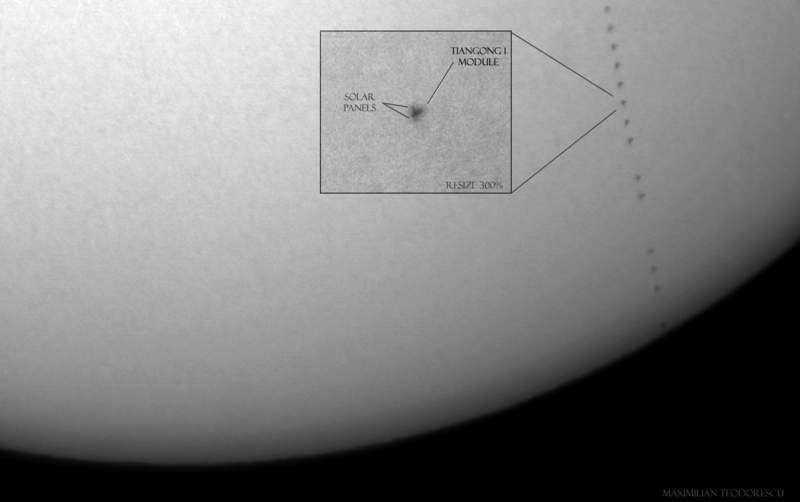 Sunspot 2703 is an interesting area on the Sun, after so many spotless days. 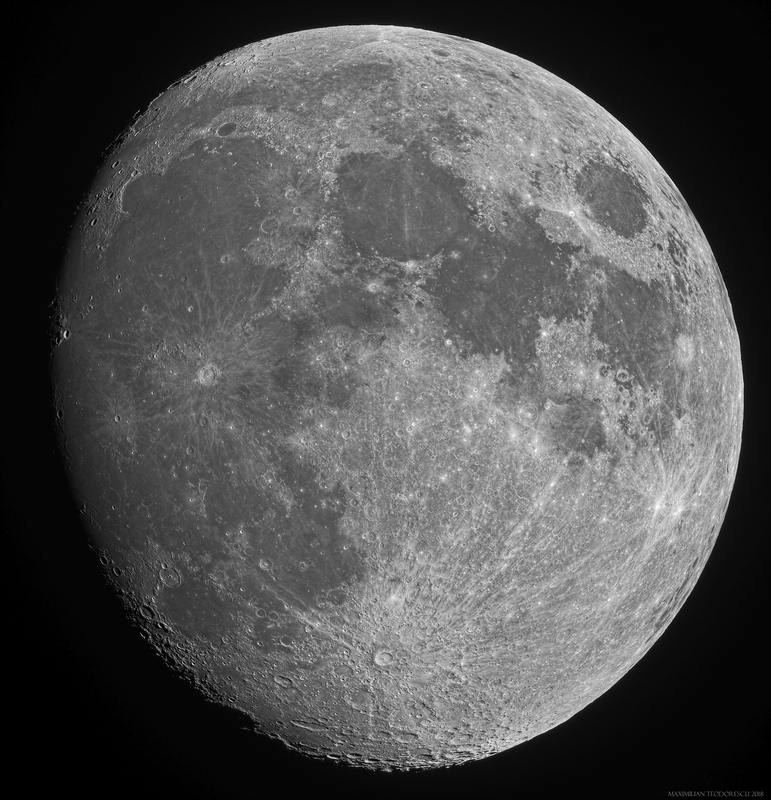 Not large or eventful, but with some nice details that work a look in a H-alpha filtered scope. There is a new star in the constellation of the Great Dog, with the poetic name …. 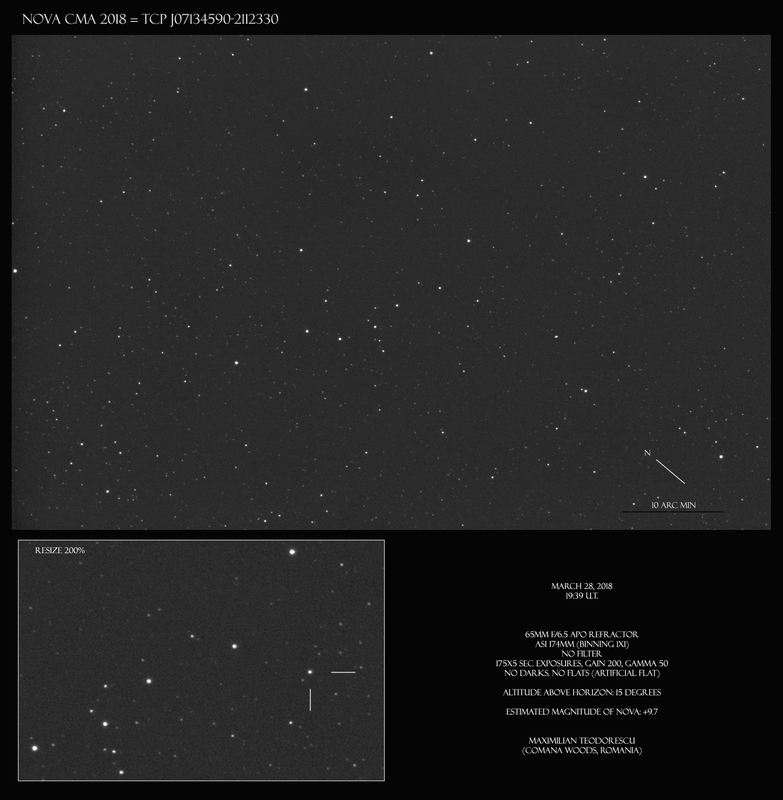 I had a chance at imaging it before it got too low in the sky, and estimated a magnitude of +9.7 (V). 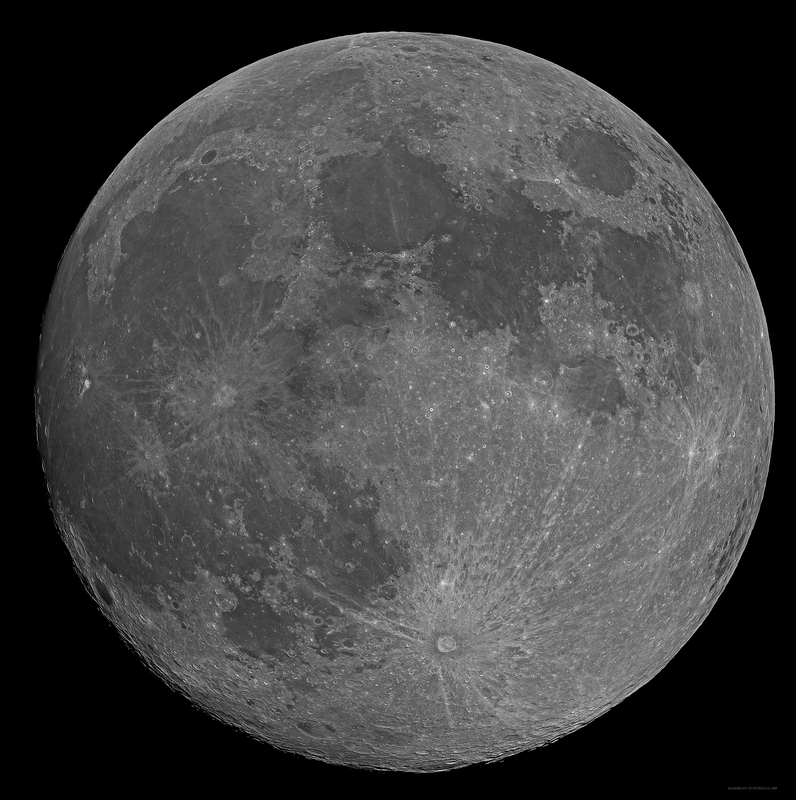 And from the same night, one Moon image acquired with the small 65 mm APO Refractor and ASI 174MM camera using a Green filter. I had no clouds for this event, but the altitude of the Sun was rather low (28 degrees) and together with some poor seeing, the silhouette of Tiangong 1 is barely discernible. The transit area via CalSky.com. A sequence and a detail image showing some structural elements. And a small animation, showing the exit of the Station at 6fps, 20 times slower compared to the original recording. For now, the subject in the image was motionless (read “dead”) so no big problems with focusing and moving from area to area. But I think that at some level it can be used in the wild on specimens that stay “dormant” for minutes at a time. The technique itself requires many, many shots: each small area is imaged at a high magnification and, using focus-stack software, it is process to get sharp despite the small depth of field of the objective. Afterwards, all of the imaged areas are assembled in a large mosaic to get a full-body mage of the subject. This requires time and computing power, since the final image is rather large. 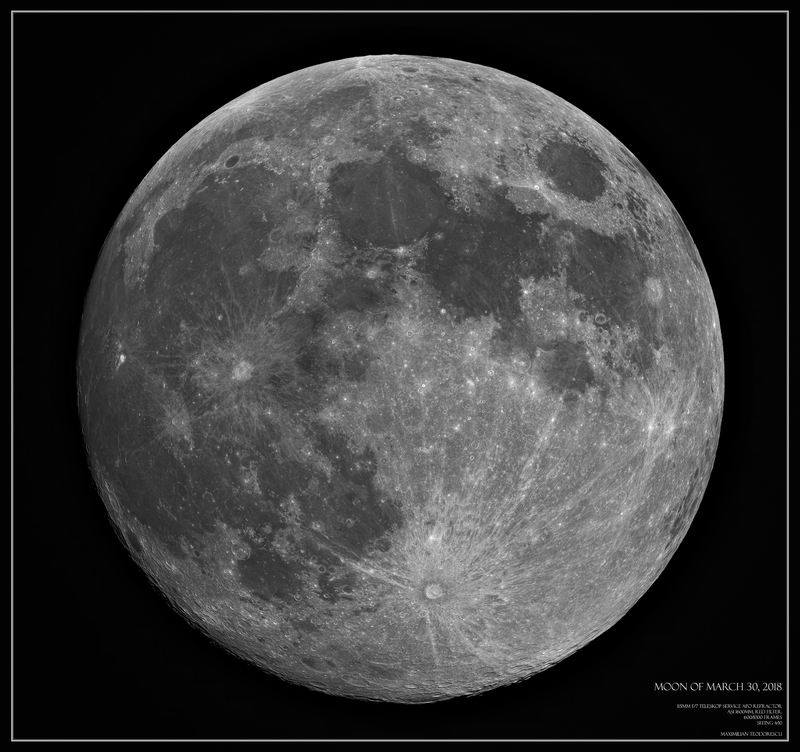 The following VERY LARGE image was actually resized to about 55% from original due to the immense size: 300Megapixels! For easy viewing, I had to shrink the file size to about 12 Mb, which compromised a lot of the details and quality of the shot. Be patient and zoom in. Details in the order of microns to tens of microns are detectable. 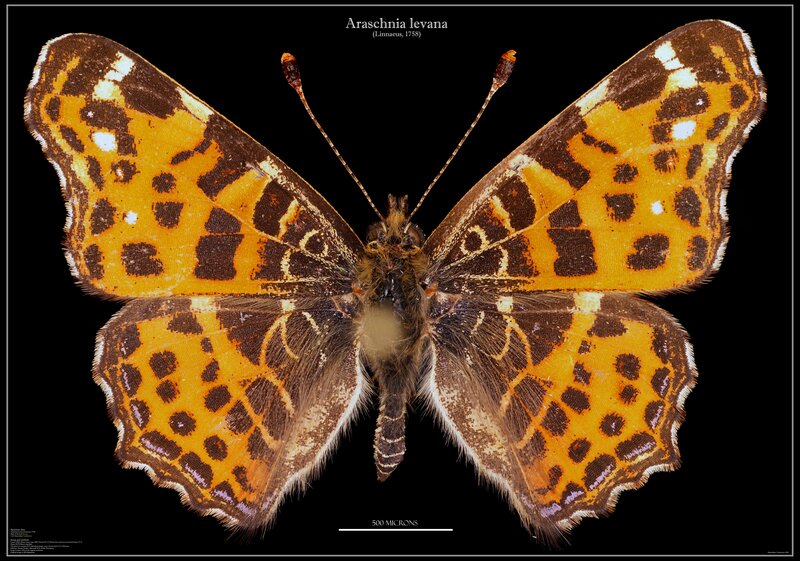 The wingspan of this individual from the species Araschnia levana is around 33 millimeters.